Although cognitive science has obtained abundant data on neural and brain processes, we are far from understanding what happens when we see color, recognize a face, or recall a memory. 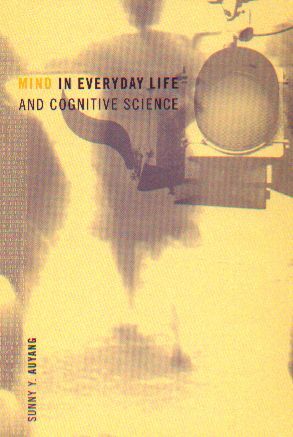 In this book Sunny Auyang tackles what she calls "the large pictures of the human mind," exploring the relevance of cognitive science findings to everyday mental life. Auyang proposes a model of an "open mind emerging from the self-organization of infrastructures," which she opposes to the "closed mind controlled by mind designers" of cognitive science. Her model consists of three parts: 1) a mind open to the world; 2) mind's infrastructure, the unconscious processes studied by cognitive science; and 3) emergence, the relation between the open mind and its infrastructure. At the heart of Auyang's model is the open mind making its environment intelligible. The open mind feels, thinks, recognizes, believes, doubts, anticipates, fears, speaks, and listens. Cognitive scientists refer to the "binding problem," the question of how myriad unconscious processes combine into the unity of consciousness. Auyang approaches the problem from the other end--by starting with everyday experience rather than with the infrastructure. In so doing, she shows how cognitive science can help us to understand ourselves as autonomous subjects. 22. How Is the Intelligibility of the World Possible?